What Good is a Mess? As a profession, project managers have a tendency toward the tidy. Would you agree? I'm not talking about tidy in terms of cleanliness. I'm talking about tidy in terms of organized. Buttoned up. In control. In this episode, Tim Harford joins us to argue for the value of messiness. 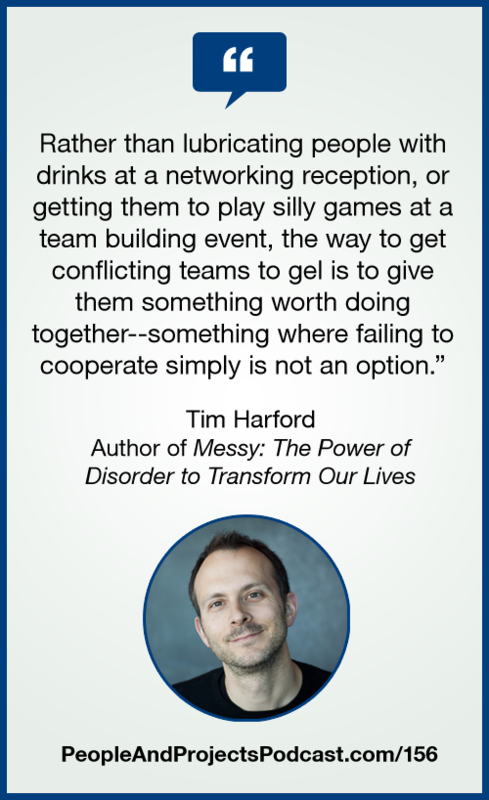 Tim is the author of the new book entitled Messy: The Power of Disorder to Transform Our Lives. You can learn more about Tim at his website http://timharford.com/. I spend most of my weekdays delivering project management and leadership workshops and keynotes at companies and conferences. Visit https://www.i-leadonline.com/workshops or https://www.i-leadonline.com/keynotes to learn more about how we can help you and your teams learn how to lead and deliver. MESS and ZERO by Steve Combs are licensed under a Attribution License.